If you’ve ever been to Bottlehouse in Madrona, you may have ordered their house pickles as I did last summer when I fell head over heels for the small dish of vegetables and fruit that has been both carefully arranged and expertly pickled. This small plate is my favorite accompaniment to a glass of sparkling wine, selected by the incredibly knowledgeable Jameson Fink, the resident curator, and cheese chosen by their in-house cheesemonger. 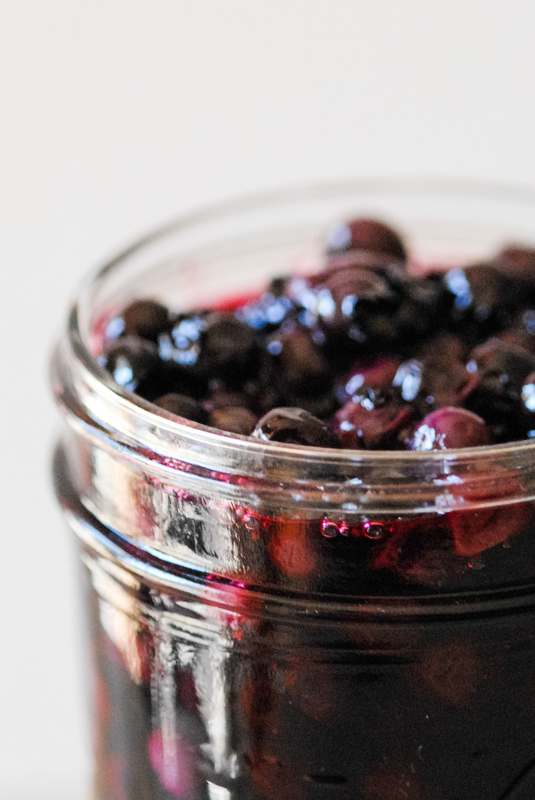 Nestled amongst the beautiful dish of pickled vegetables and fruits, one item is a clear stand out: the pickled blueberry. It is the perfect bite – summer sweet and savory. On a recent visit, I was able to coax the recipe from Chef Laney. Now, with a bumper crop of blueberries from my own garden, I am excited to try her recipe at home and also share it with you. 1. Tie spices up in cheesecloth, and secure with string (this is the sachet). 2. Place sachet in saucepan and add vinegar. Bring up to boil, then reduce to simmer. 3. Add berries, and cook until just about to burst (approx. 5 minutes). 4. Remove from heat, and pour in to mixing bowl. 5. Cover in plastic wrap, and let stand for 12 hours (or overnight). 6. Strain blueberries and sachet out of vinegar, and transfer to pt jar. 7. Transfer vinegar back in to saucepan and add sugar. 8. Cook down to light syrup consistency (not quite napé), and pour over berries. 9. Cap jar and refrigerate for at least 2 days before using.